We invite you to walk through our beautiful gardens and greenhouses and view the great selection of quality tropical and landscaping plants we offer. Our specialty is bromeliads and we stock one of the largest selections of bromeliads you will find anywhere. 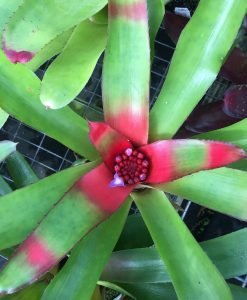 We grow hundreds of varieties of Neoregelia, Aechmea, Tillandsia, and other rare and unusual specimen and collector bromeliads. Garden Clubs and others are always welcome schedule a guided walking tour of our nursery operations. You’ll enjoy exploring our beautifully landscaped gardens and tropical foliage greenhouses. Please call in advance to schedule your visit to insure we can give you our full attention during your visit. Landscaping your home? We offer a full spectrum of residential and commercial landscaping services. We work hard to meet our customer’s unique landscaping needs. Stop in today. We look forward to meeting you in person and introducing you to the quality products and services that have made Jimbo’s Nursery famous in Texas for over three decades. e, Texas, just off Hwy 6 or about 6 miles west of Interstate 45. 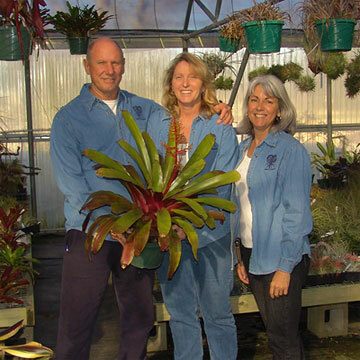 We are members of the Santa Fe Chamber of Commerce, Texas Nursery & Landscape Association, and the Bromeliad Society/Houston. Serving the greater south Houston/Galveston coastal communities.